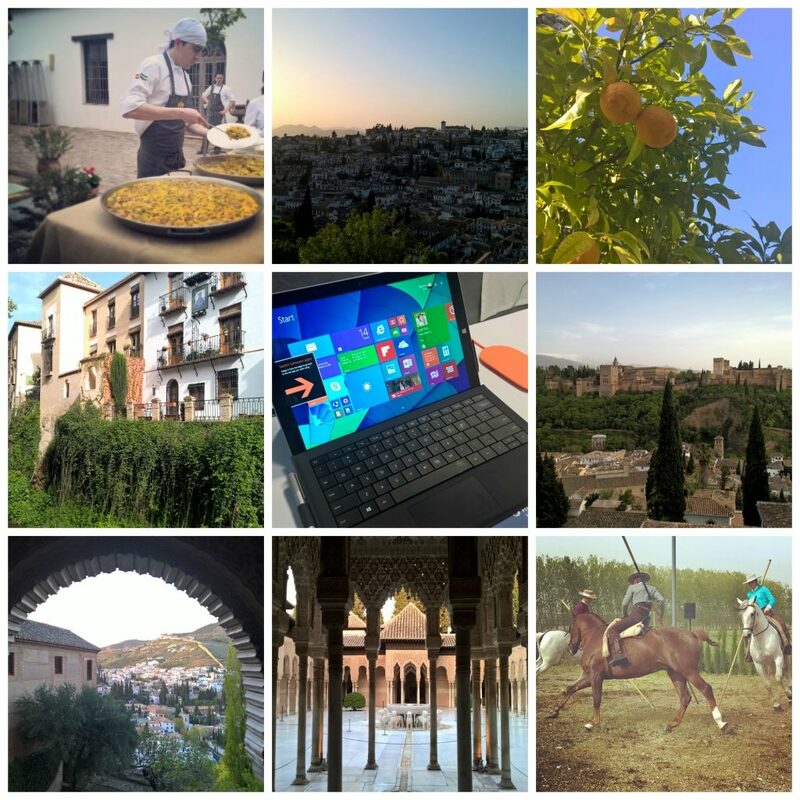 A couple of weeks ago I was invited to Grenada, Spain by Microsoft to explore the city using their new Lumia 930 phone. Not only was I seriously impressed by the phone and how high quality the images were, but the city captured my heart. Here are some of my favourite photos from my trip and what I think are the best features of the phone. 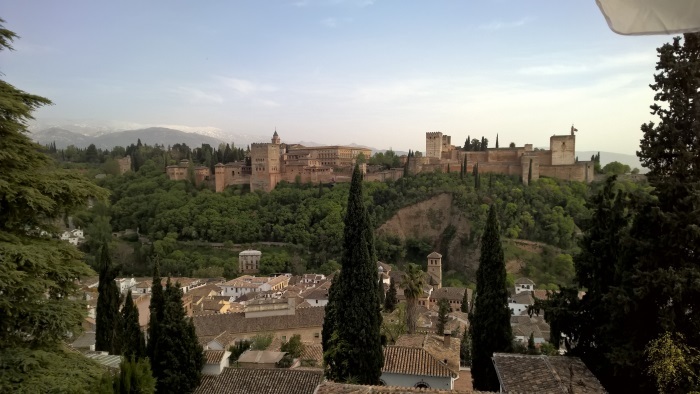 After arriving in Malaga, I took a 90 minute taxi to Granada. 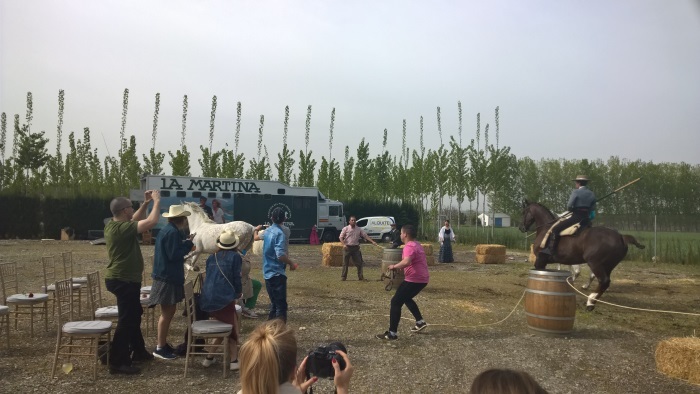 I couldn’t fly directly to Grenada from Manchester, but I really didn’t mind as the journey through the Spanish countryside was entertainment enough. As we approached Grenada, I could see the Sierra Nevada mountain range starting to make itself known. These mountains were going to be the backdrop of many of my photos on the trip. 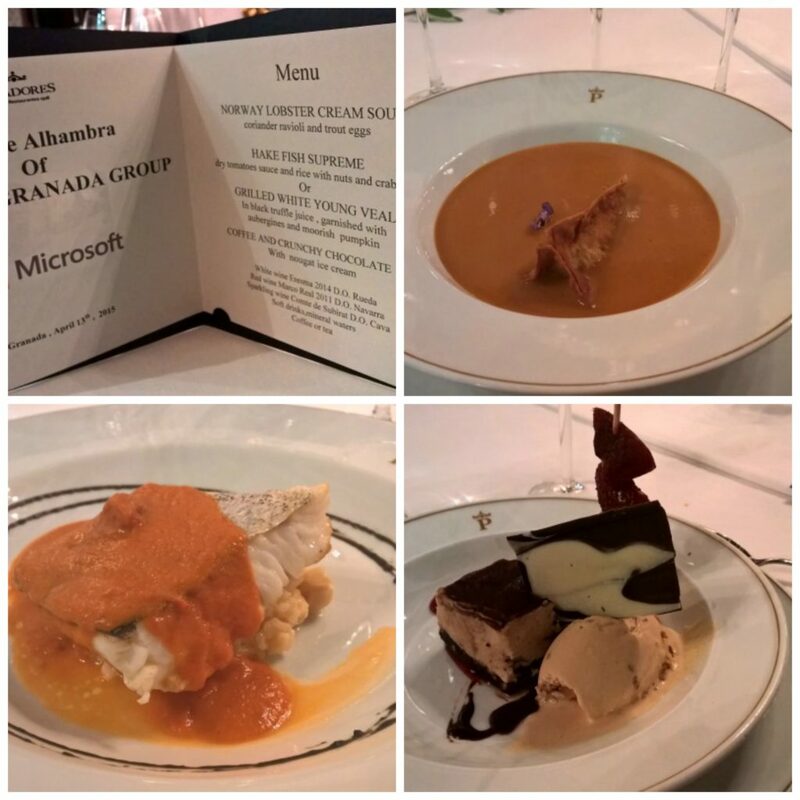 After arriving at my beautiful hotel, Hospes Palacio de Los Patos, I just had time to to get changed and then meet the other bloggers/journalists in the conference room to learn all about the Microsoft Lumia 930 phone. What I first noticed about the phone is that is a fair size bigger than my iPhone, but it is not any heavier. This bigger size really isn’t an issue for me, I actually prefer it that way. If you are anything like me, then you will be spending a lot of time on your phone, so having a bigger screen to look at can only be a good thing. I am the first to hold my hands up and say that I am a bit of a technophobe. I often have to phone Dave for him to talk me through how to turn on the DVD player, despite the fact he has shown me 20 times before, so it goes without saying that it can take me a while to pick up anything new. However, I got to grips with the Lumia 930 immediately and I was downloading my favourite apps on to it within minutes. Instagram was the first, obviously. Some of the features of the phone include a 5″ full HD display, surround sound recording, built-in wireless charging and my favourite part of it – the 20MP camera. All of the photos from this trip were taken on the Lumia and I would happily leave my DSLR camera at home and take this phone with me on my travels, as the photo quality is excellent. Of course, you need to know how to use the camera on the phone and we were lucky enough to get a master class from Steven Alverez who is a National Geographic photographer and is a big advocate for using the Lumia when on your travels. He made the great point about how a camera phone is less intrusive, so you can get some awesome natural shots, especially of people. 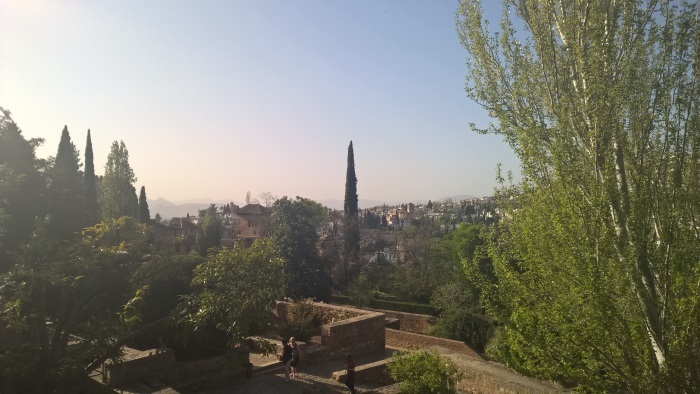 It was a short trip, and we had lots to see and photograph, so after a quick brief about the phones we were whisked off to what is probably the most popular site in Granada – the Alhambra. The area we arrived in, although it was busy, was really pretty and full of flowers and lots of little streets filled with light, which the Lumia captured perfectly. Before we got to the main attraction, we had a walk around the gardens to get use to using the phone. 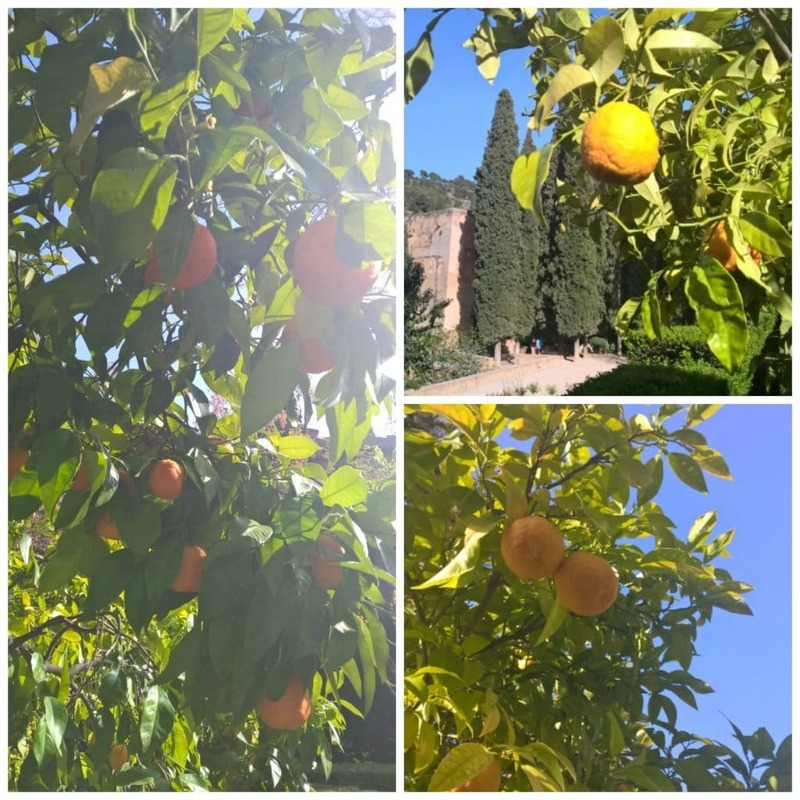 There were lemon and orange trees everywhere, which is one of the many reasons why I want to live in Spain. Can you imagine just walking out your door and picking a lemon off your tree? There were some beautiful views from the garden too. You can understand why someone wanted to build there, with views like this. 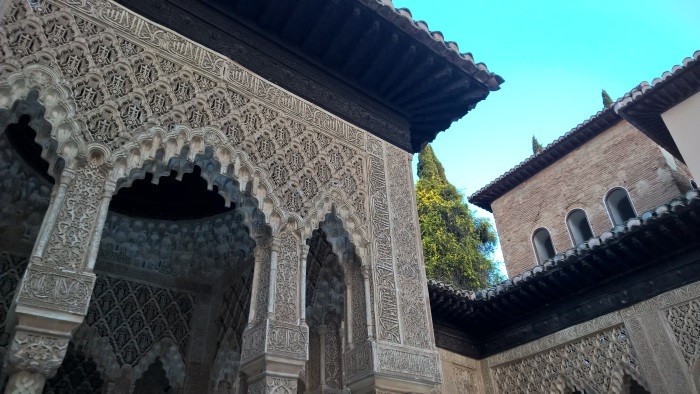 It was time for the main attraction – The Alhambra and we were very, very lucky to get a private tour. There were only about 20 of us in the group and it was just us in the whole palace, meaning that we could get the perfect photos, without a tourist being in the shot. 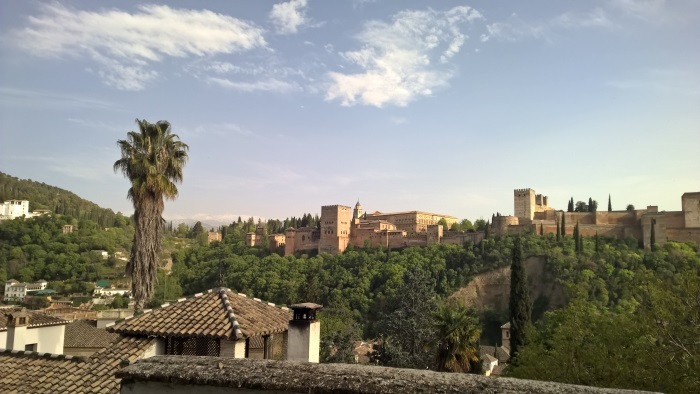 The Alhambra is a palace and a fortress that was built as a fortress in 889 and the re-built in the 11th Century by Mohammed ben Al-Ahmar and was then turned in to a royal palace in 1333 by Yusuf I, the Sultan of Granada. 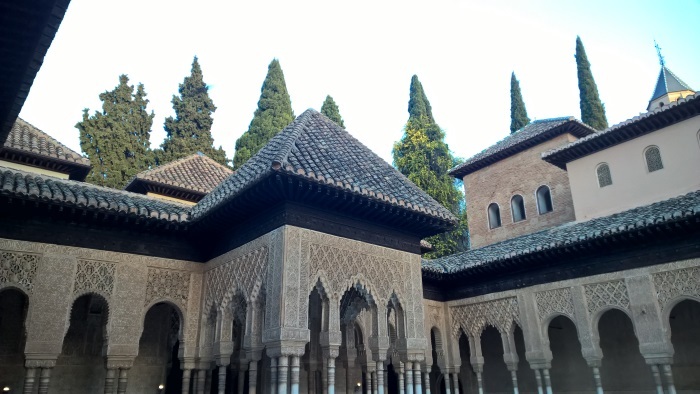 I was fascinated by the history of it and learning about how they were used by Christian rulers after the last of the Muslim emirs, and generally learning about the different religions in Spain and how that has changed. The inside of the building was just as beautiful as the outside with such an incredible attention to detail everywhere you looked. 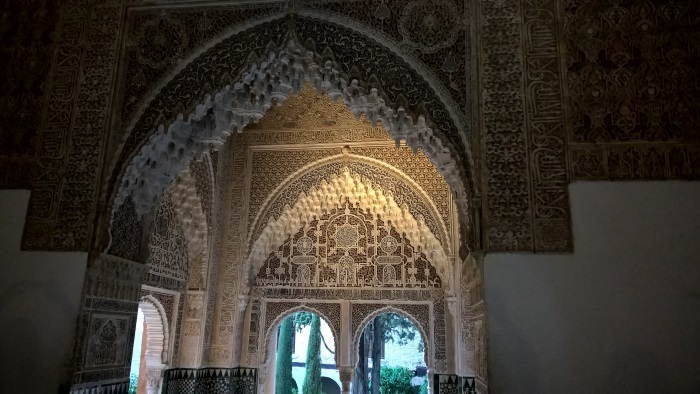 The decorations inside the building are typical of the remains of Moorish dominion within Spain and began last great period of Andalusian art in Granada. 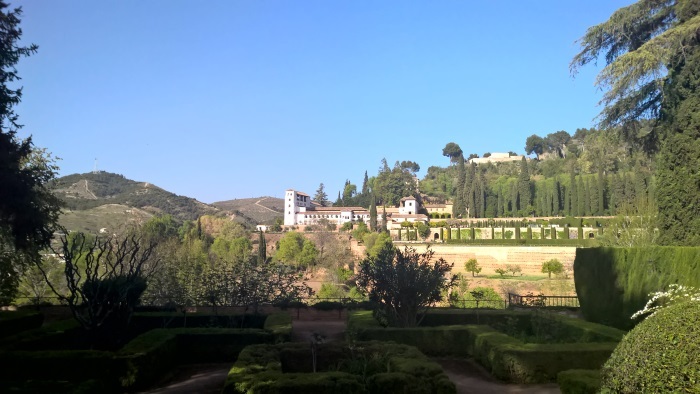 Over the centuries, the Alhambra has changed a lot. 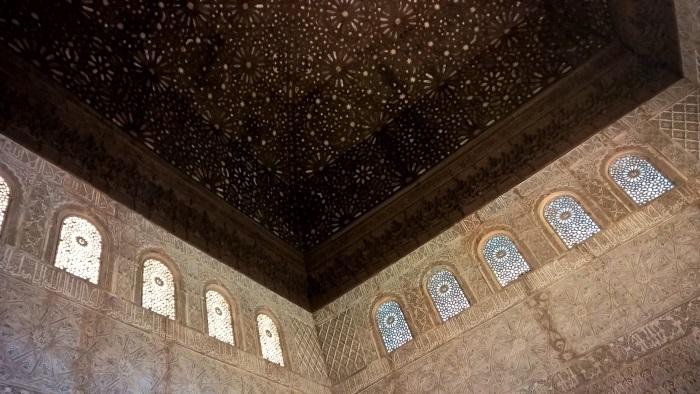 After the Christian conquest of the city in 1492, the conquerors started changing the Alhambra with whitewash and removed the painting and gilding. 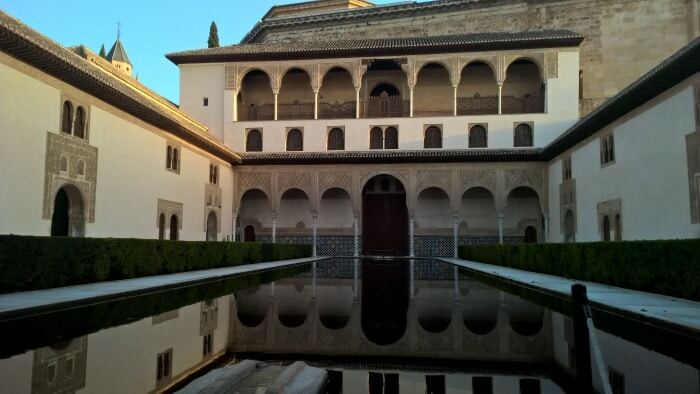 In the mid 16th Century, Charles I rebuilt portions in the Renaissance style of the period but destroyed the greater part of the winter palace and in the early 18th Century Philip V Italianised the rooms and completed his palace in the middle of what had been the Moorish building. In the 18th Century much damage was caused by the French and also by an earthquake in 1821. 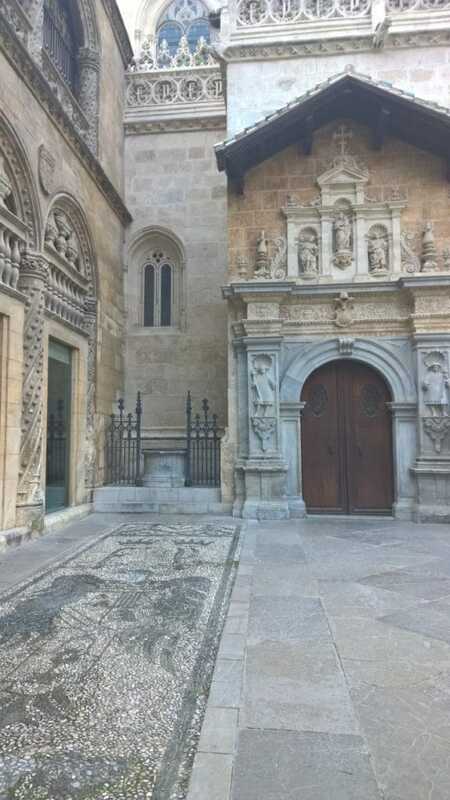 However, despite all this damage, restoration work was undertaken in 1828 by the architect José Contreras and continued, with great success, by his son, and grandson. 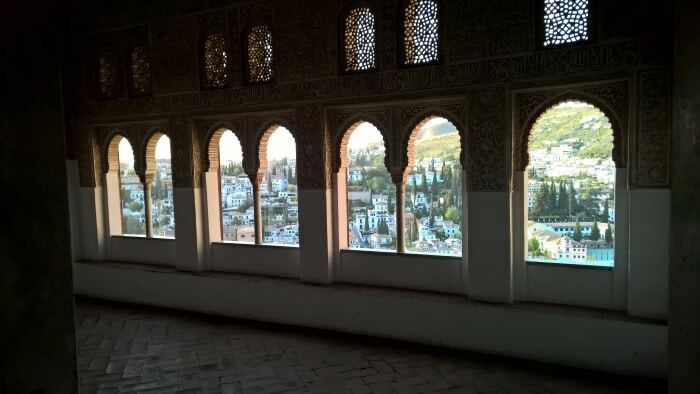 The views from inside the palace are worth a visit alone. Imagine waking up to views like this every morning! 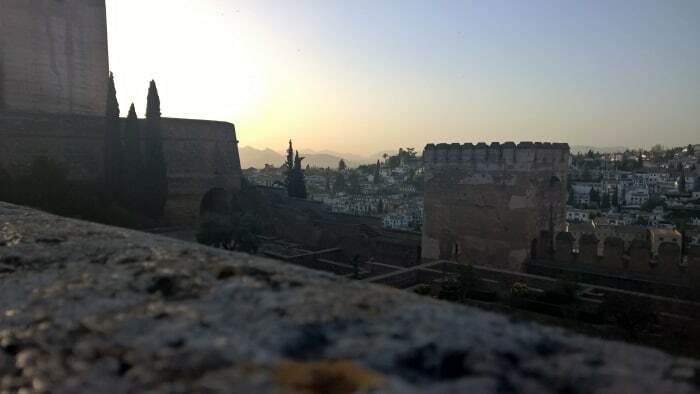 The timing of our visit was spot on as well, as we came out of The Alhambra, the sun was setting and the light was beautiful. How can you not fall in love with a city like this? 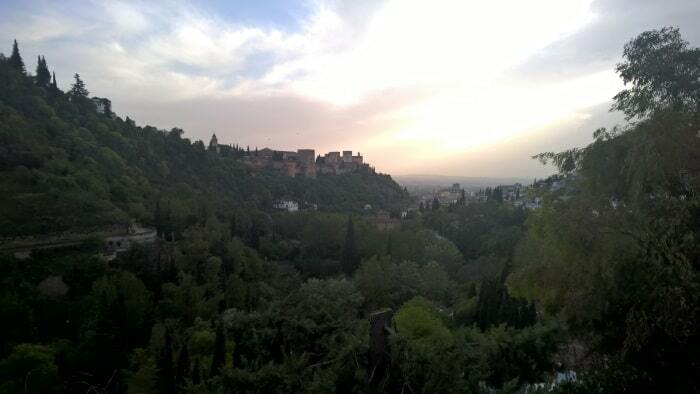 Another special part of our trip to the Alhambra was a private dining experience in one of their hotels. After a day of travelling and not eating, I was ready to eat anything and the menu didn’t disappoint. I was a little unsure of trying the trout eggs at first, but I am not someone that turns down new food experiences (although this might change when I am in Thailand in a couple of weeks), so I gave them a go and they really complimented the lobster soup. There were little pops of them and they were not too over powering. I went with the hake for the second course, as I am really not a fan of veal and it was flaky and perfectly cooked. I think the dessert speaks for itself – it was chocolate pie. It was awesome. After an excellent night sleep in what is possibly the biggest bed I have ever slept in, I hit the breakfast buffet to fuel myself for an action packed day with a lot of stair climbing. I think that justifies the Nutella I had with breakfast (I can’t not eat it if I see it. It’s a problem). We then all met back in the conference room to find out about the Microsoft Surface, which is their tablet. My encounter with it was drastically different from the first time I used an iPad, where I didn’t have a clue what I was doing. 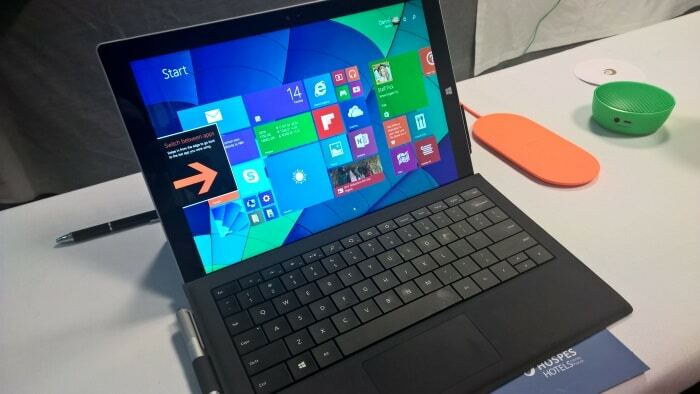 The surface was really easy to use (if I can use it, then anyone can), as I am used to a windows laptop. But I wasn’t used to the apps side of it, which we got to try out and even that was simple. Next up was a quick talk from a guy from Adobe all about using Lightroom. Using Lightroom is something I have been thinking about for a while now, as I have been working on improving my photography, but I really need to start editing my photos too and Lightroom seems like the cheapest and easiest way to do that, whilst the photos still looking professional. I was convinced in minutes after we were shown some really cool things that Lightroom can do – it’s also very easy to use on the Microsoft Surface as well – ideal for editing photos on the go. It’s a shame we didn’t get to spend more time using the Surface, as I would have been interested to see what else it can do. 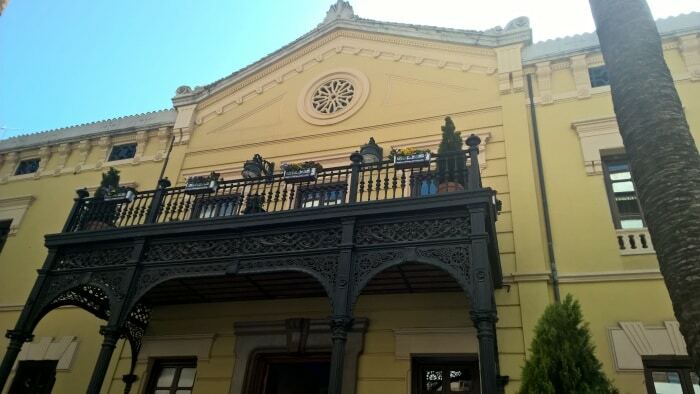 Our first stop for the day was to see a horse show at a traditional Spanish country house, which was beautiful. 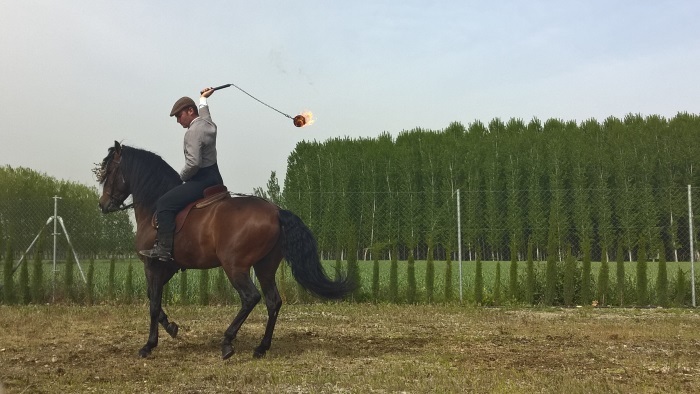 Let me start this by saying I am not a fan of horses. I know people say they are majestic animals and all that, but I think they are huge and terrifying, and this trip did nothing to convince me others, but that doesn’t mean I didn’t enjoy the show and I was impressed with what they could do, and how well looked after they were. 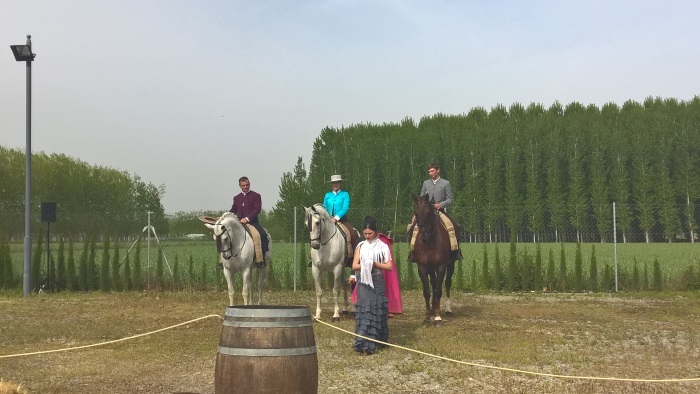 When we arrived we were greeted with some sherry, in true Spanish style. It was only 11am, but why not. When in Spain! We then sat down to watch the show and it really was beautiful. 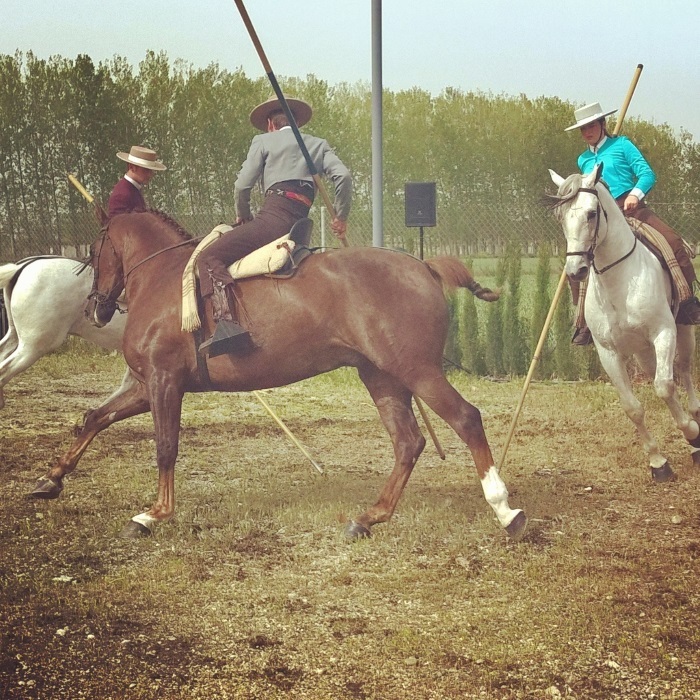 It told the story of Spanish history and involved sticks, fire, a woman dancing and falling in love with a horse and then a horse making a break for freedom – this was not part of the show. The horse was running around the show area, this was part of the show, and then obviously decided it had had enough and jumped the ropes and started galloping for the front gates and the road. You could see the fear on the trainers face and if I wasn’t scared enough, seeing them worried was enough to worry me. 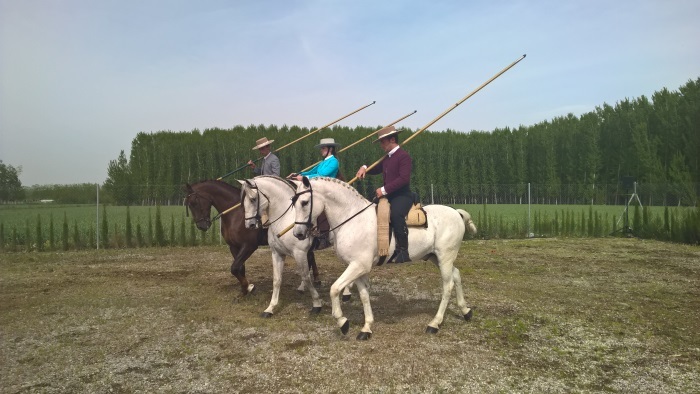 After the horse turning round and charging back us, it took a few people and horses to corner the horse and get a rope on him. It was then time for another very much needed sherry. 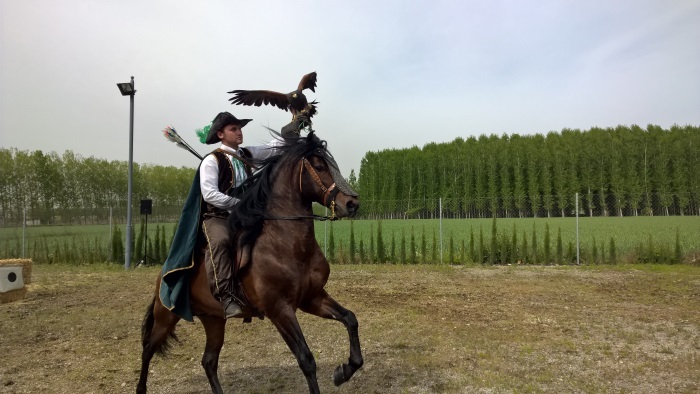 This is the horse running for it. 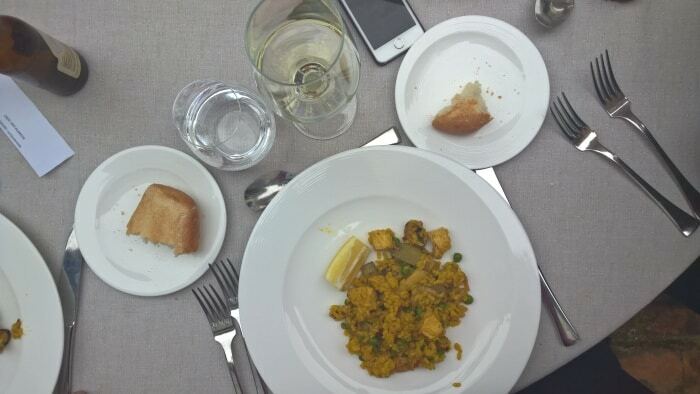 For lunch we were treated to a traditional Spanish paella. 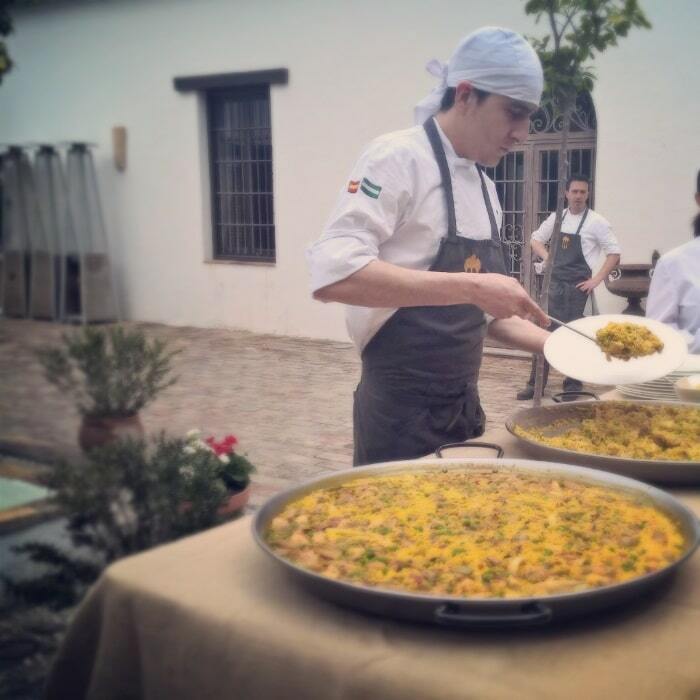 Although paella is not a regional dish in Granada, it would be a shame to not eat it when in Spain. 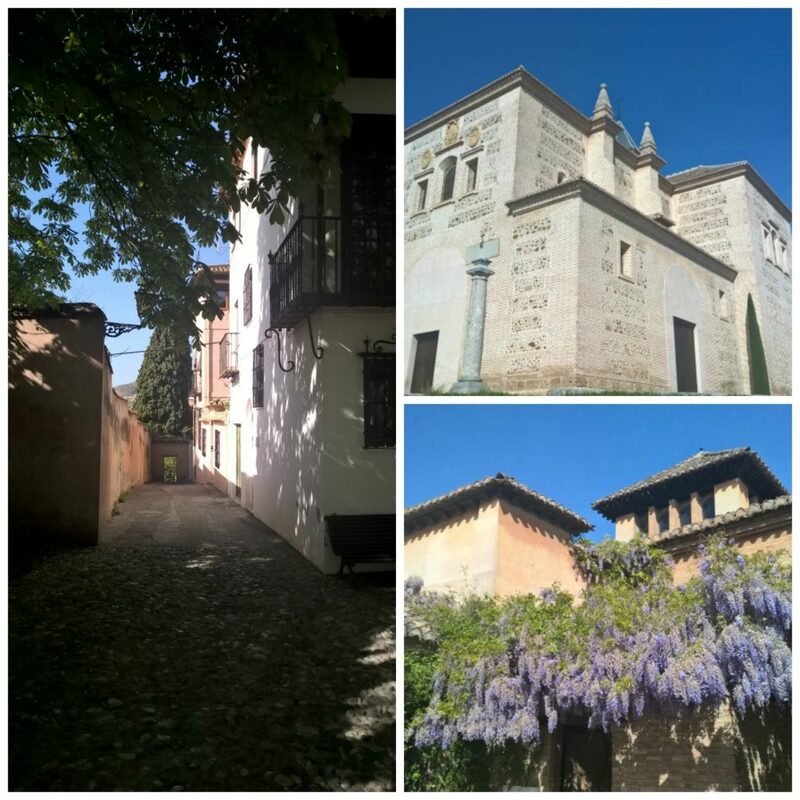 I have to say, it’s one of the better Paellas I have had, and the surroundings definitely helped with that. 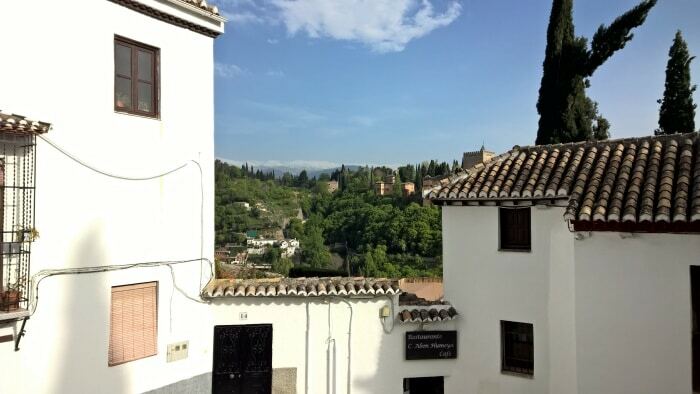 Back in the centre of Granada we started our walking tour up through the streets to one of the best view points in the city. The walking tour was relaxed and enabled people to stop off where they wanted to and catch up all together later. 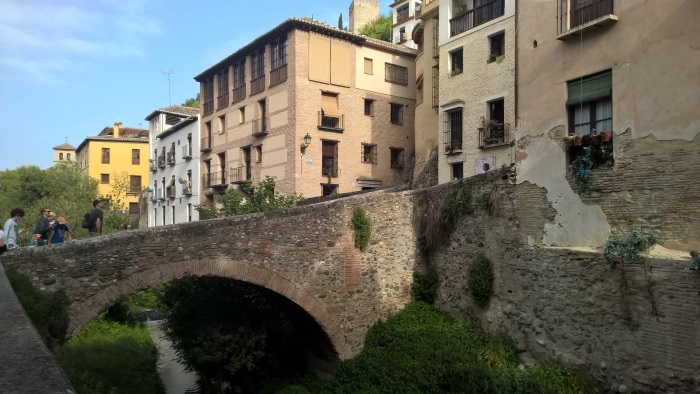 Granada is the perfect city to walk around as ever corner there is a new side street where you can witness everyday life happening and every set of stairs you walk up gives you a new view. 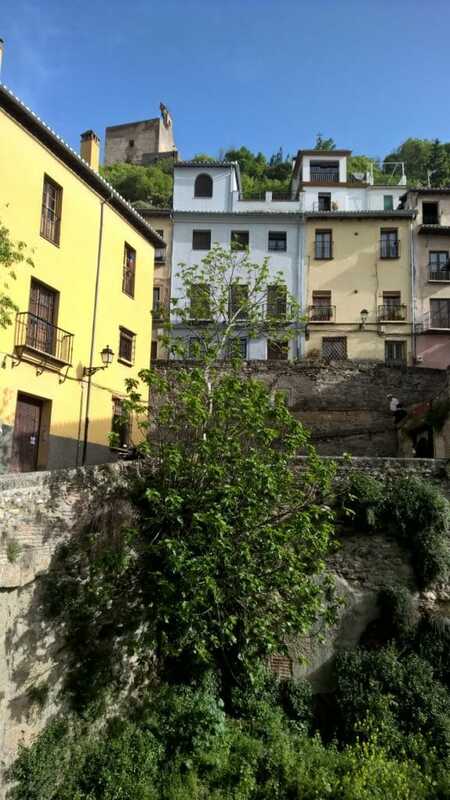 Like most Spanish cities, there was a lot of graffiti around, but I kind of like that. It doesn’t look the same as it does here in the UK, and that’s not to say we don’t have talented graffiti artists here in the UK. I don’t know, maybe everything just looks better in the sun? 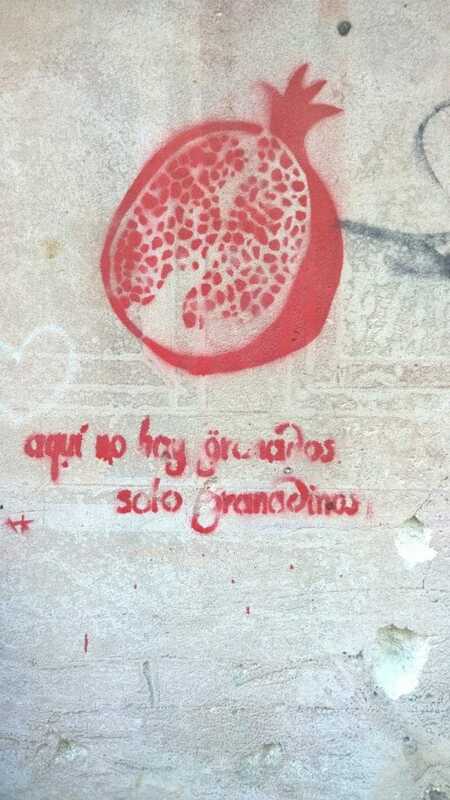 This was one of my favourite bits of graffiti that I saw on the trip, of a pomegranate. 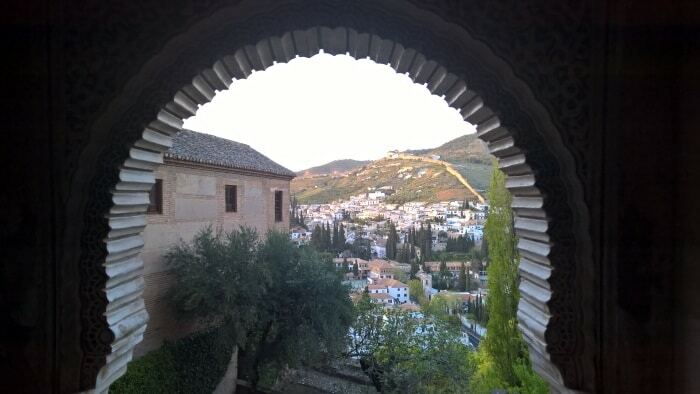 Did you know that Granada actually means pomegranate? That was a new bit of information for me too. 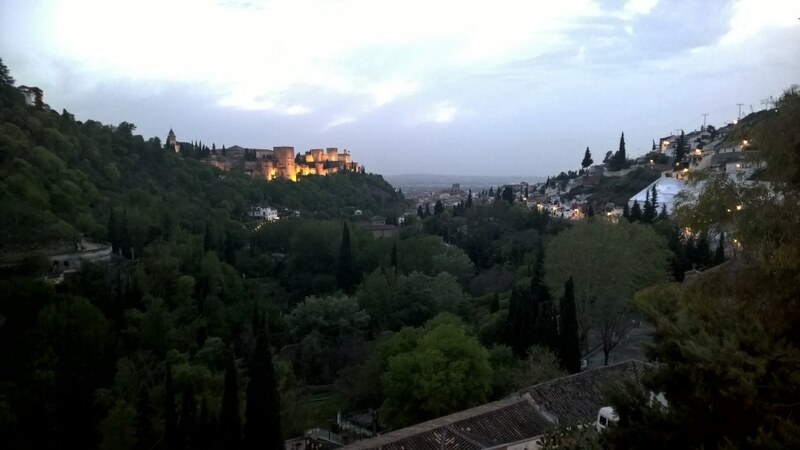 As we got higher and higher, we eventually came to this breathtaking view of the Alhambra. 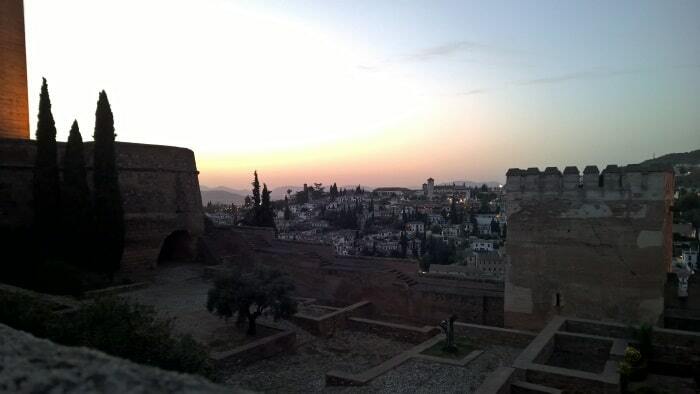 Where we were standing was what we could see from the Alhambra the day before when we were photographing the sunset, so it was nice to see the city from a different angle, and also at a different time of day which showed the city in a different light, literally. 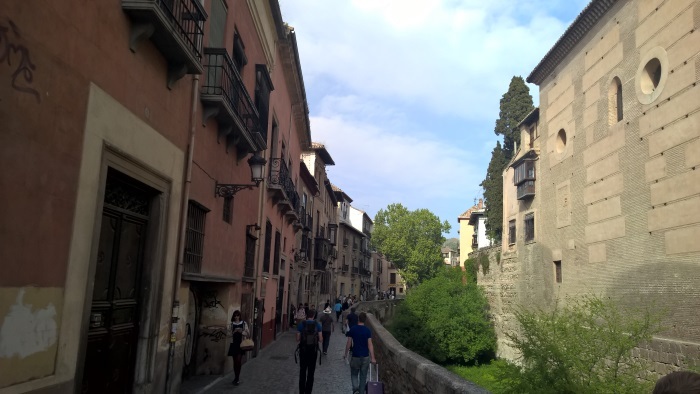 As we walked back down again, we headed to the part of the trip I was most looking forward to (no, not dinner) – flamenco dancing. 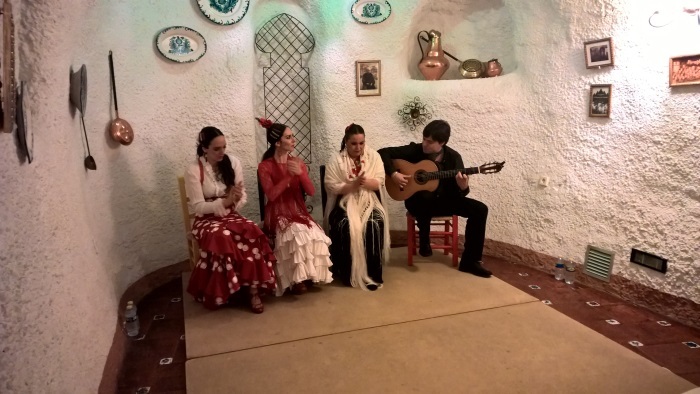 I am lucky enough to have visited Spain a LOT (over 20 times), but I have never seen a flamenco show. Before we headed in to the restaurant where we were seeing the show, we sat on the terrace having a couple of drinks with this for a view. I mean, come on! How could you ever get bored of this view? 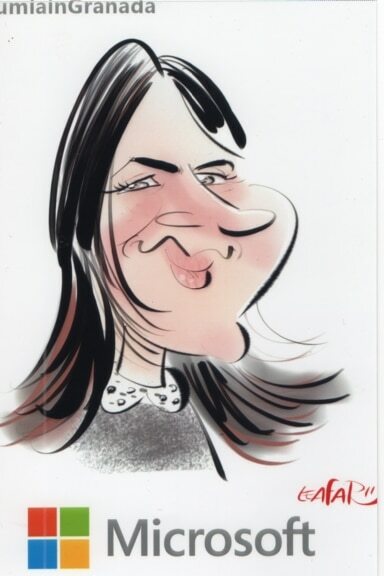 Then, we were surprised with a caricaturist that was there to draw us (he was using the Microsoft Surface rather than a pen and paper, which was another first for me. I have often thought of getting one when on holiday, as they usually line the beach, but I have been put off by how unflattering they can look. Well, this didn’t really change my opinion of that, but I still think it is pretty funny. Also, how amazing is it that this is done on the Microsoft Surface? 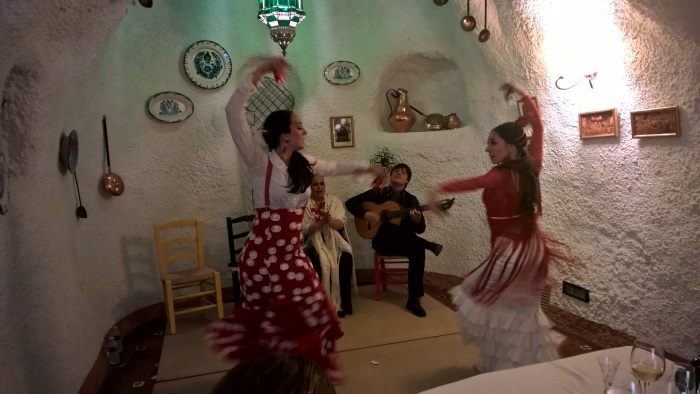 The restaurant was set inside a cave, making it extra special, not to mention nice and cool, and we settled in to another Spanish feast. Seriously, they like their food and it never seemed to stop coming. We had lamb stuffed aubergine, followed by perfectly cooked steak and potatoes and some cake that I couldn’t even attempt to eat. Why do I always fill myself up on bread? Then the entertainment started and entertaining it was! I am not sure what I was expecting from a flamenco show, but this was so much more. It was so emotional, and I didn’t even know what they were singing about. We asked someone else to translate and she told us the songs were always sad, and usually about men. 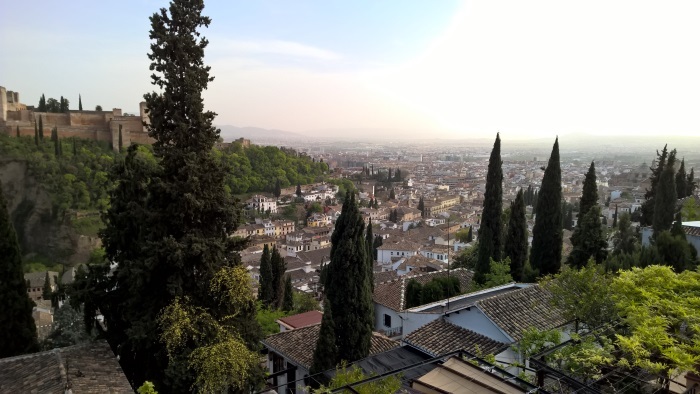 Whilst I have never been to a place that I haven’t liked (I am one of those people that sees some good in everything), Granada is somewhere that I 100% want to go back to very soon. 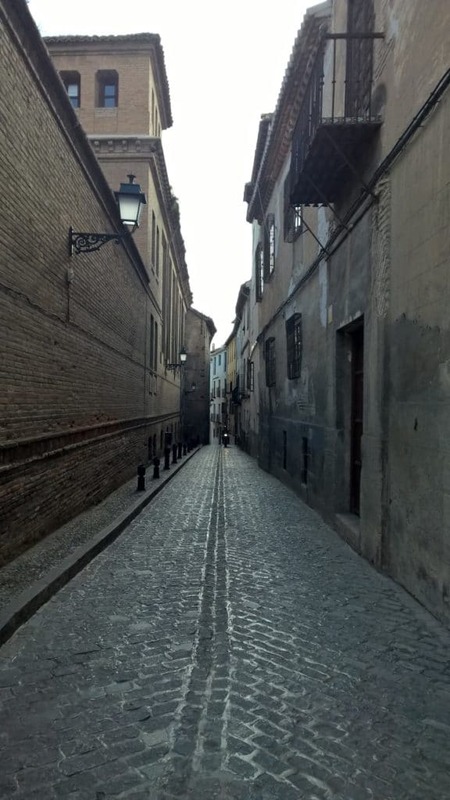 I got the feeling that there is still so much left to see of this captivating city. 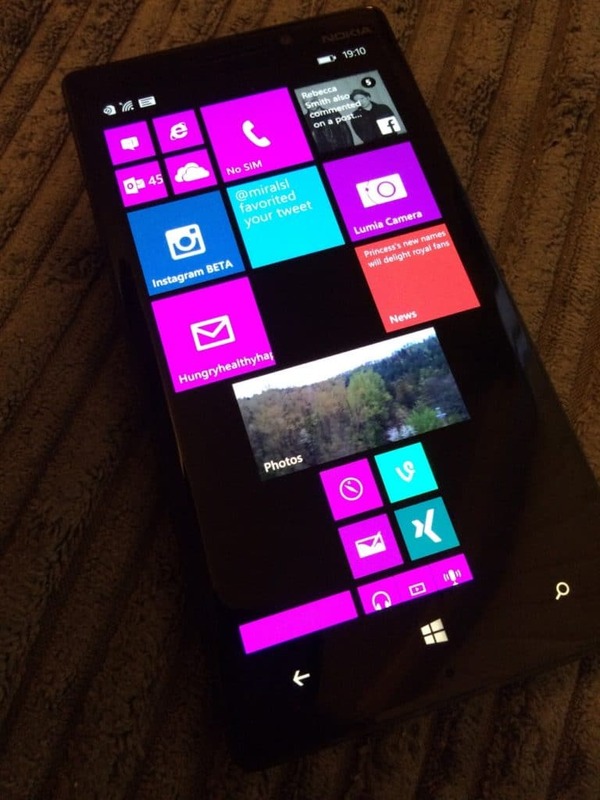 But it wasn’t just the city that won me over, but the Microsoft Lumia phone too. If you want something small and powerful to capture your travelling moments, then I can’t recommend this enough. Beautiful city, great architecture and great photos. Will be my next trip after Madrid. 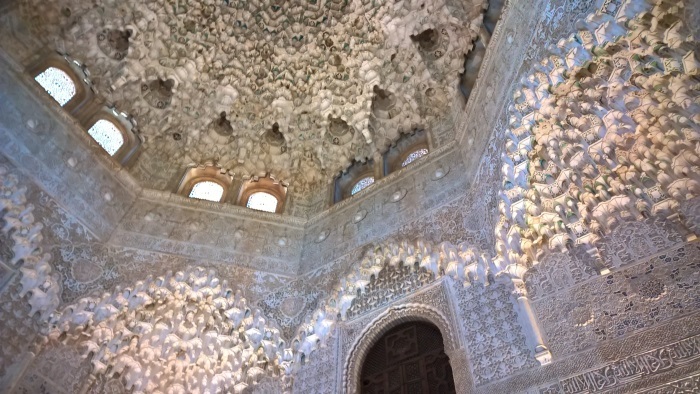 The architecture really was stunning. What a stunning trip. Breathtaking architecture. Gorgeous photos. I would go back in a heart beat. It’s such a beautiful place. 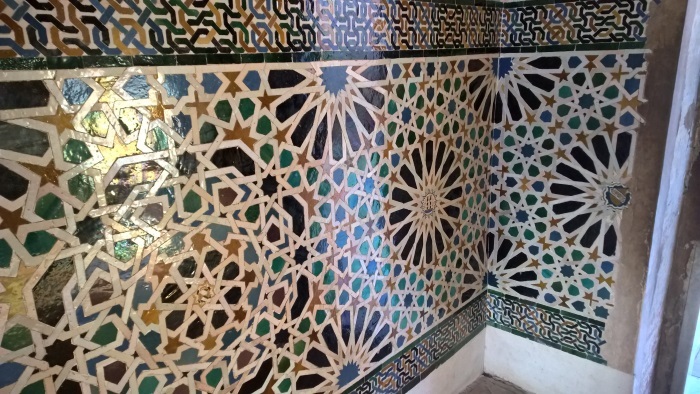 A lot of these architectural and decorative motifs are very familiar to me here in the Arab world but most of it is new interpretations and brand new buildings. I would love to visit a place which represents so much of the history of this region. 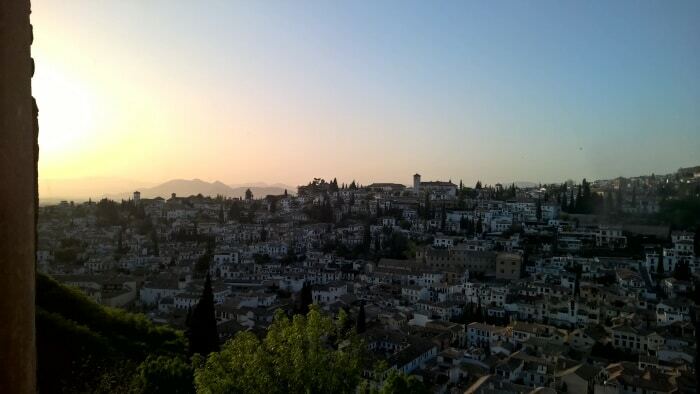 Your pictures really are stunning and have moved Granada to the top of my travel wish list. Thanks Sally. You really should visit, it is one of the best places I have been to. Grenada is beautiful isn’t it? I have not been for very long time but wow on the private tour, yes very lucky not to share it with the hoarded! Re: Grenada being the word for pomegranate, an extra piece of information for you, which is what lead me to learning the meaning of grenada originally… it’s what grenadine ( pomegranate syrup) is named for. Beloved in tequila sunrise!! 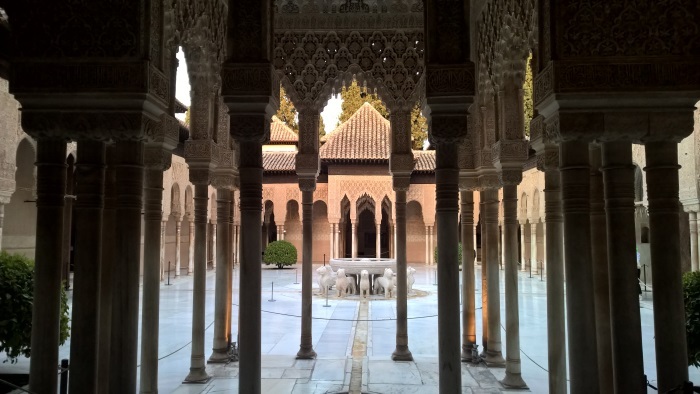 What a glorious place – incredible architecture and lovely food. Lucky you and a nice way to showcase the phone! 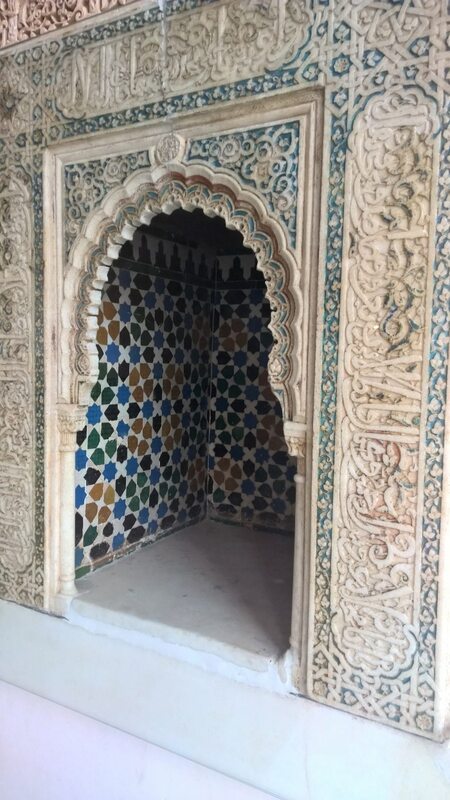 The architecture was really stunning. 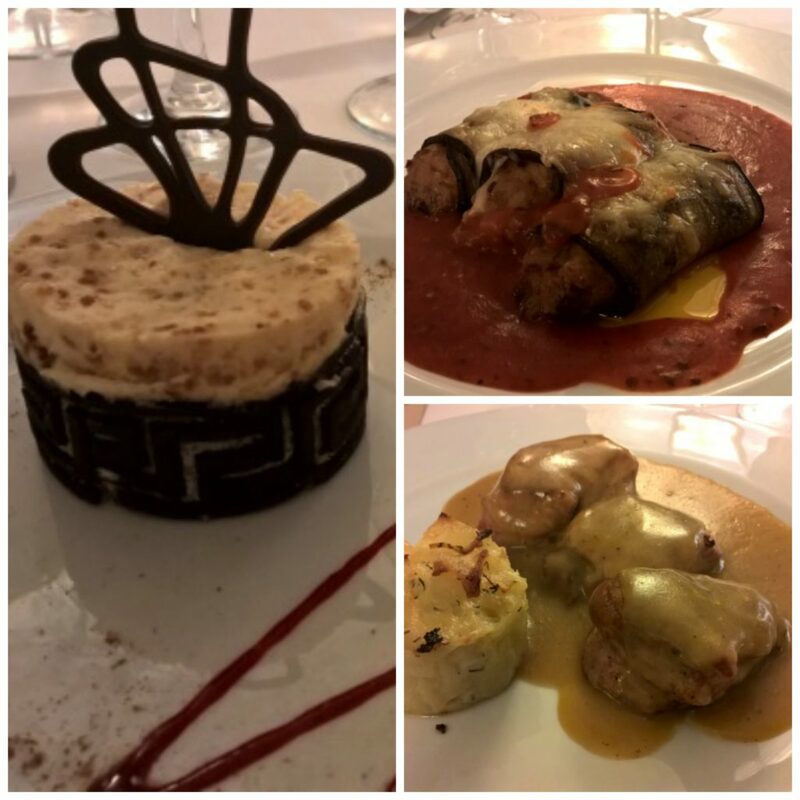 Oh wow what a fantastic time you had – and love the cave restaurant. 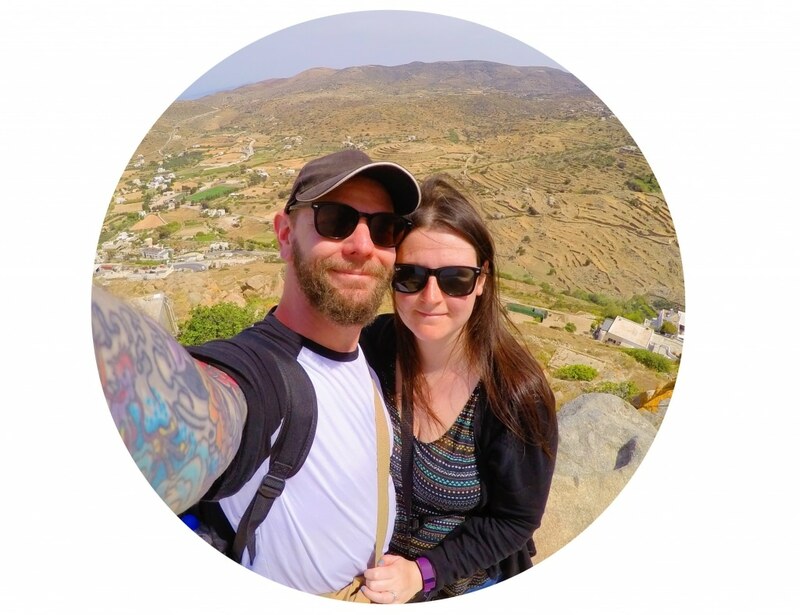 I liked seeing all your Instagram pics but it’s good to read this proper post about your trip! 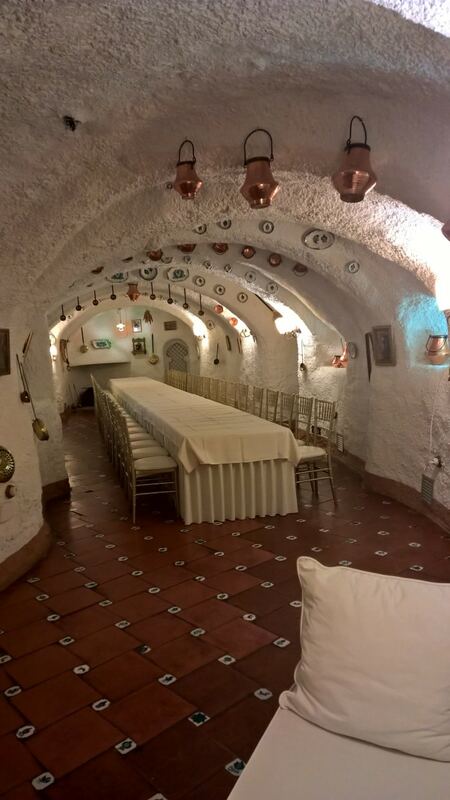 How fun is it to have dinner in a cave! The dancers were amazing too. They are some great looking photos. That paella looks brill too! I would really recommend it. It’s so easy to use. Lovely photos Dannii. I was really impressed with the camera on the Windows phone two years ago. Ed uses it and loves it. They get better all the time as more apps appear! Thanks Helen. I love the camera, especially as a food blogger as it takes such good food photos in low light. Thanks Jen. I must just be a natural at horse photography haha. 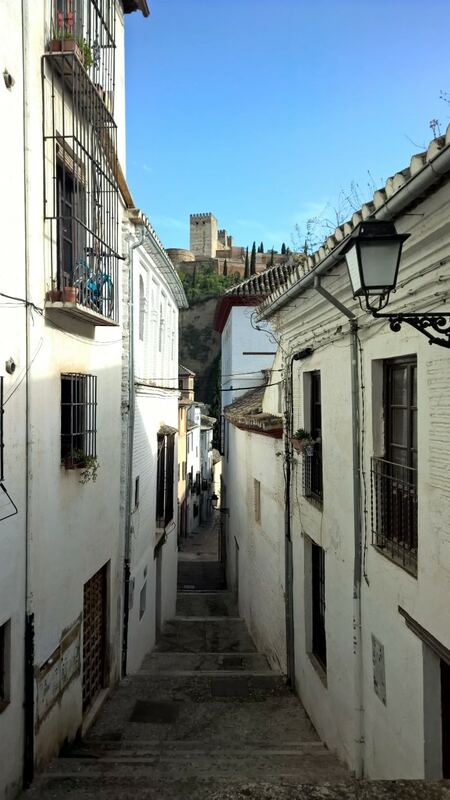 Thanks Suze – it is one of my favourite parts of Spain. Incredible photos Dannii. I can’t believe that these were all taken on a phone. 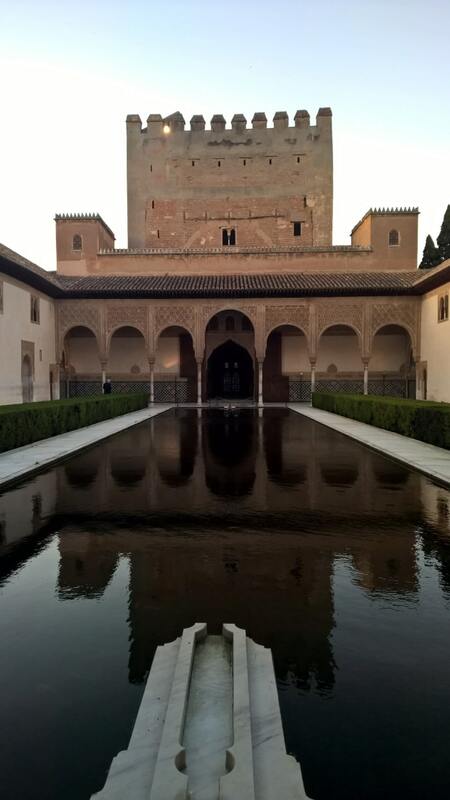 I had not heard of the Alhambra before, but it certainly looks like a stunning building. It is beautiful. It has so much history too. 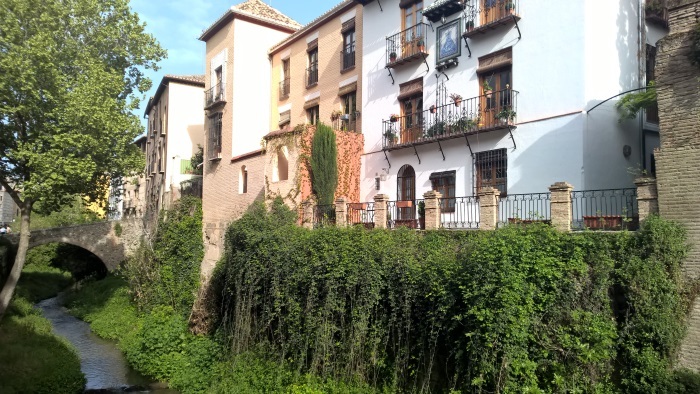 I’ve always wanted to visit Spain – just gorgeous! The pictures are all so beautiful! It’s definitely my favourite European country.